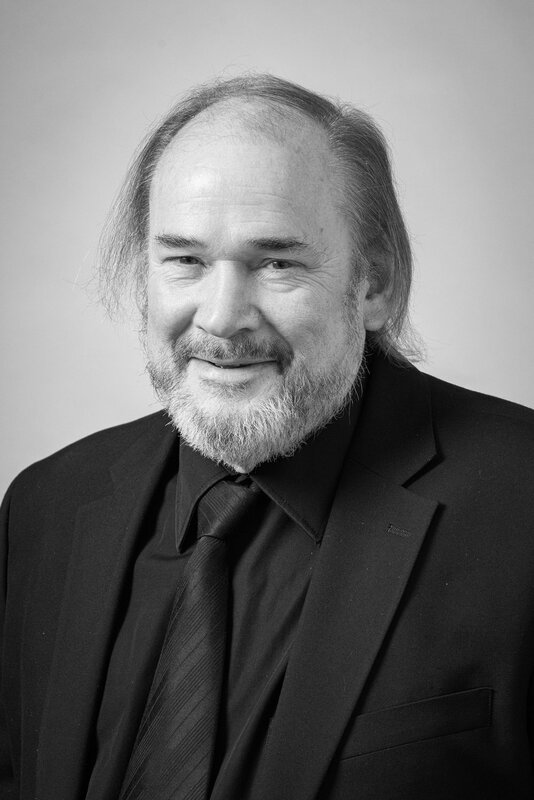 D’Arcy Gray has been the principal timpani of London Symphonia, and formerly Orchestra London, since 1979. He has been a featured soloist on numerous occasions. He has also performed with numerous Canadian orchestras and has been active in musical theater productions at the Huron Country Playhouse and the Stratford Festival. D’Arcy received his BMus and MM at the University of Western Ontario. He was awarded the University of Western Ontario Gold Medal Award in 1977. He taught at Western from 1982 to 2003, twice receiving the USC Award of Excellence in Teaching at UWO. His compositions for acoustic and electronic percussion instruments have been performed internationally and are published by Tymtech Music Productions. Two of his percussion concerti, Science and International Orange were premiered by Orchestra London. Recently, he has been thoroughly enjoying his new hobbies - painting and welding sculptures, but not nearly as much as enjoying the grandchildren and grandanimals!